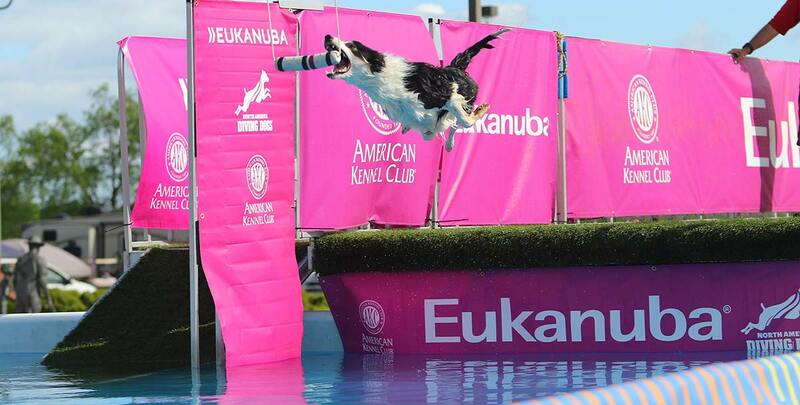 Dock diving is one of the nation’s fastest growing dog sports! Paws 4 Fun is the only training facility within 250 miles! In this sport, dogs compete by jumping for either height or distance from a dock into a body of water. Dock diving is open to all ages, breeds, and mixes of dogs. This is a great sport for active dogs who love water! Paws 4 Fun is a North America Diving Dogs Sanctioned Facility (NADD). NADD titles are recognized by the American Kennel Club (AKC). We will hold events throughout the year, plus a qualifier for nationals in the fall. In addition to holding events, we will also provide training for your dogs, no matter what their experience is! We will also have open dock diving hours in addition to dock rentals. Open dock hours allow any dock diving members access to practice, while dock rentals will allow individual members or member groups private access to the dock and pool. Visit North America Diving Dogs for more information on the organization, or call us at 402-802-1738 for more info on our facility and membership!